At the age of 20, Titsworth was convicted of car theft and sentenced to five years imprisonment. He spent two months in a "boot camp" and was released early. Three months later, he shared a trailer with his girlfriend, Christine Marie Sossaman, in Amarillo. According to a confession later given by Titsworth, he and Sossaman had argued, she went to sleep, and he went out to buy crack cocaine and a pill he believed was LSD. When he returned to the trailer, Titsworth got an axe from a closet and blacked out, although he said he did remember hitting his girlfriend four or five times. Her body was later discovered in the trailer with 16 axe wounds. A friend of Sossaman testified at trial that the victim told her the day before she was killed that she intended to ask Titsworth to leave because she believed her boyfriend had been stealing from her. After the attack, Titsworth took her car along with items from the trailer home that he sold to buy more crack cocaine, then returned repeatedly to the murder scene to take more property to sell for drug money. Beef fajitas with jalapeno peppers, a rib eye steak with a baked potato, beef enchiladas with cheese and Mountain Dew soda. “There are no words to describe the pain and suffering that you have gone through all these years. That is something that I cannot take back from you all. I hope that Megan, if she is here present today, know that today I hope you get peace and you. I am sorry that is has taken 14 years to get closure. If it would have brought closure or brought her back, I would have done this years ago, I promise, I promise. My family all knows the sincerity in my heart when I say these words to you. I didn’t mean to inflict the pain and suffering on your family. I pray that (Christine) is safe in Heaven.... If these words can ever touch your heart, I am sorry. I am truly sorry.” After saying, “I love you,” several times to his friends and family, Titsworth stared at the ceiling as the lethal chemicals entered his system. “Here we go,” he said, as he took his final breath. AUSTIN – Texas Attorney General Greg Abbott offers the following information about Timothy Titsworth, who is scheduled to be executed after 6 p.m. Tuesday, June 6, 2006. Titsworth was sentenced to die for the 1992 capital murder of Christine Marie Sossaman. A summary of the evidence presented at trial follows. The body of Christine Marie Sossaman was found in July 1992 in the bedroom of the trailer in Amarillo she shared with her boyfriend, Timothy Titsworth. Sossaman had been killed with an axe. The evidence showed Titsworth and Sossaman had been living together for about two months when Sossaman was murdered. Sossaman told a friend a day before she was killed that she intended to ask Titsworth to move out because she believed he was stealing from her. The next day, Titsworth killed Sossaman in her bedroom by striking her about sixteen times with a dull two-bladed axe. Sossaman was likely sleeping in bed when the attack began. Titsworth stole Sossaman’s car and some of her personal property. Titsworth sold Sossaman’s property and used the money to buy crack cocaine. Over the next couple of days Titsworth and other admitted crack cocaine users made at least two trips to Sossaman’s home and took more of her property, which they used to buy more crack cocaine. Once Titsworth exhausted his supply of money and drugs, he and another person decided to make another trip to Sossaman’s home in her car to get more of her property. However, by this time Sossaman’s mother had found her body and had alerted the police. Titsworth was arrested in Sossaman’s car, while he and another person were on their way to Sossaman’s home. Titsworth confessed to killing Sossaman and taking her property. Titsworth retrieved an axe from a closet while Sossaman was asleep in bed. Titsworth said he remembered hitting Sossaman four or five times with an axe. In October 1993, Titsworth was convicted of capital murder and sentenced to death. The Texas Court of Criminal Appeals affirmed his conviction on appeal on November 22, 1995. The Texas Court of Criminal Appeals denied state habeas relief on February 10, 1999. On Sept. 11, 2003, a U.S. district court judge denied a federal petition for writ of habeas corpus. The court also denied a certificate of appealability on Nov. 25, 2003. Titsworth requested COA from the 5th U.S. Circuit Court of Appeals on February 26, 2004. After hearing oral argument, the court denied COA on all claims except one, on which the court granted COA. However, the court ultimately denied relief on February 16, 2005. The U.S. Supreme Court denied certiorari review on January 9, 2006. At the time of this offense, Titsworth was on probation for unauthorized use of a motor vehicle, for which he was sentenced to five years in state prison. However, a motion to revoke his probation had been filed and a warrant for Titsworth’s arrest had been issued at the time he killed Sossaman. The evidence showed that soon after Titsworth murdered Sossaman, he was arrested in her car for illegal firearm possession. While awaiting trial for capital murder in the county jail, Titsworth and several others escaped from the jail. The escapees stole some clothes and a car and drove into Amarillo, where they obtained marijuana. Titsworth was captured about twelve hours after the escape after leading police on a high speed chase. According to Titsworth’s mother, he received three years probation and was ordered to seek mental health counseling for breaking into a shed at thirteen and was arrested for drugs and placed on probation when he was fifteen. Timothy Titsworth, 34, was executed Tuesday evening inside the Huntsville “Walls” Unit for the 1993 ax murder of his girlfriend in Amarillo. Strapped to the death chamber gurney, Titsworth offered a heart-felt apology to the family of his victim, Christine Marie Sossaman, directing most of his statement to Megan Sossaman, Christine’s daughter who was 4 years old at the time of her mother’s death. “There are no words to describe the pain and suffering that you have gone through all these years. That is something that I cannot take back from you all,” Titsworth said. “I hope that Megan, if she is here present today, know that today I hope you get peace and you. I am sorry that is has taken 14 years to get closure. If it would have brought closure or brought her back, I would have done this years ago, I promise, I promise. “My family all knows the sincerity in my heart when I say these words to you. I didn’t mean to inflict the pain and suffering on your family. I pray that (Christine) is safe in Heaven.... If these words can ever touch your heart, I am sorry. I am truly sorry.” After saying, “I love you,” several times to his friends and family, Titsworth stared at the ceiling as the lethal chemicals entered his system. “Here we go,” he said, as he took his final breath. Seven minutes later at 6:20 p.m., he was pronounced dead. Evidence showed Titsworth, who dropped out of school after the eighth grade and worked as a roofer, was high on crack cocaine at the time of the attack. In his confession, he told authorities he and Sossaman had argued, she went to sleep and he went out to buy crack and a pill he believed was LSD. He told detectives he returned to the trailer, got an ax from a closet and blacked out, although he said he did remember hitting his girlfriend four or five times. While being held at the Randall County Jail and awaiting trial, Titsworth was among four inmates who escaped by crawling through ductwork. He was captured about 12 hours later. Titsworth was convicted of unlawful use of a motor vehicle a month before his 20th birthday in 1992 and sentenced to five years in prison. As a first-time offender, however, he was released on probation after spending more than two months at a boot camp. Three months later he was arrested driving a car owned by Sossaman, 26, whose body had been found at the mobile home she was sharing with Titsworth. She had been struck some 16 times with a dull ax. A former crack cocaine user who was on probation for auto theft when he was arrested for capital murder apologized profusely Tuesday before he was executed for the ax slaying of his girlfriend almost 14 years ago. "There are no words to describe the pain and suffering you went through all the years I've had. All these years, that is something that I cannot take back from you all," Timothy Titsworth said as he was strapped to the death chamber gurney. "Today, I hope you get peace and joy. I'm sorry it's taken 14 years to bring closure." "If it would have brought closure or brought her back, I would have done this many years ago," he said. Titsworth said he prayed that his victim "was safe in heaven" and said that his family was praying for the victim's family. "If these words can ever touch your heart, I am sorry, I am truly sorry," he added. As the drugs began taking effect, Titsworth said, "Here we go." Seven minutes later at 6:20 p.m., he was pronounced dead. Among the people watching were his victim's mother and now 18-year-old daughter, all from the Alamosa, Colo., area. Titsworth, 34, was the 11th prisoner executed this year in Texas, the nation's most active capital punishment state. Titsworth was convicted of unlawful use of a motor vehicle a month before his 20th birthday in 1992 and sentenced to five years in prison. As a first-time offender, however, he was released on probation after spending more than two months at a boot camp. Three months later he was arrested driving the car of Christine Marie Sossaman, 26, whose body had been found at the mobile home she was sharing with Titsworth in Amarillo. She had been struck some 16 times with a dull ax. "I was shocked, shocked in a good sense," Inez Zetzsche, whose daughter was slain, said after hearing the prisoner's words and watching him die. "I didn't expect him to apologize to Megan because he ruined her life and our lives. He orphaned Megan. He left us with a void in our lives." While she credited Titsworth with being sincere, she said his death likely wouldn't bring the closure he sought. "But I know he won't ever harm anyone else," she said. "I couldn't save my daughter, but I could save somebody else's." "It won't fix it," Megan Sossaman said. "It can't be undone... Right now I'm just surprised that he addressed me personally." According to court records, a friend of Sossaman testified the victim told her the day before she was killed that she intended to ask Titsworth to leave because she believed her boyfriend had been stealing from her. Evidence showed that after the attack, Titsworth took her car along with items from the trailer home that he sold to buy more crack cocaine, then returned repeatedly to the murder scene to take more property to sell for drug money. "In a nutshell, he was living with her until she came up dead," Randall County District Attorney James Farren said. "Suddenly, he's gone, he's selling her stuff." When Titsworth was arrested, he was headed back to the mobile home for what a companion said was another trip to collect items to sell. By then, Sossaman's mother, worried when she couldn't reach her daughter by phone, had discovered the body and alerted police. The U.S. Supreme Court in January refused to review his case. "I'm on death row and have fought a hard battle within the appellate courts, only to reach the final stage ... a better man, a stronger soul," Titsworth said on a Web site that seeks prison pen pals. He declined to speak with reporters in the weeks preceding his execution date. His mother testified at his 1993 trial she was a bartender with a drinking problem, that her son began drinking beer about the age of 2 and that his father committed suicide when Titsworth was 6. Wyoming authorities took him and an older brother from her custody when Titsworth was 8 and placed the siblings in an orphanage for a year. He had his first run-in with the criminal justice system at 13, she said. "The neglected wounds of our past are the major source of our misery," Titsworth wrote. "Only now do I see the connection with my own life. "What I didn't get at home, I would look for in other places, and that led me along a difficult path that is now challenging me today." Scheduled to die next, on June 20, is 28-year-old Lamont Reese, who authorities say is a former street gang member convicted of gunning down three people outside a Fort Worth convenience store in 1999. HUNTSVILLE, Texas (Reuters) - A Texas man was put to death by lethal injection on Tuesday for the 1992 ax-murder of his girlfriend. Timothy Titsworth, 34, was condemned for killing Christine Sossaman, 26, as she lay sleeping in the bedroom of the mobile home they shared in Amarillo, Texas, on July 23, 1992. Titsworth said he was high on crack cocaine when he struck Sossaman about 16 times with the ax. Sossaman told a friend the day before the attack she was going to ask Titsworth to move out because she thought he was stealing from her. After the attack, Titsworth took Sossaman's car and some of her personal items, which he sold to buy crack cocaine. Over the two days following the murder, Titsworth and other crack addicts returned to the home to take more items to sell. In a final statement while strapped to a gurney in the death chamber, Titsworth apologized to Sossaman's daughter, Megan. "Know that today I hope you get peace and joy," he said. "I am sorry that it has taken 14 years to get closure. If it would have brought closure or brought her back, I would have done this years ago. I promise. I promise." Titsworth was the 11th person executed in Texas this year. He was the 366th put to death since the state resumed capital punishment in 1982, six years after the U.S. Supreme Court lifted a national death penalty ban, a total that leads the nation. For his final meal, Titsworth requested beef fajitas with jalapeno peppers, a rib eye steak with a baked potato, beef enchiladas with cheese and Mountain Dew soda. -Texas has 14 additional executions scheduled, so far, for 2006. (AP) HUNTSVILLE A former crack cocaine user who was on probation for auto theft when he was arrested for capital murder was headed to the Texas death chamber Tuesday for the ax slaying of his girlfriend. Timothy Titsworth, 34, would be the 11th prisoner executed this year in Texas, the nation's most active capital punishment state. Titsworth was convicted of unlawful use of a motor vehicle a month before his 20th birthday in 1992 and sentenced to five years in prison. As a first-time offender, however, he was released on probation after spending more than two months at a boot camp. Three months later he was arrested driving the car of Christine Marie Sossaman, 26, whose body had been found at the mobile home she was sharing with Titsworth. She had been struck some 16 times with a dull ax. Evidence showed Titsworth, who dropped out of school after the eighth grade and worked as a roofer, was high on crack cocaine at the time of the attack. In his confession, he told authorities he and Sossaman had argued, she went to sleep and he went out to buy crack and a pill he believed was LSD. He told detectives he returned to the trailer, got an ax from a closet and blacked out, although he said he did remember hitting his girlfriend four or five times. While being held at the Randall County Jail and awaiting trial, Titsworth was among four inmates who escaped by crawling through ductwork. He was captured about 12 hours later. Barring a stay by Gov. Rick Perry or any last-minute appeals, an Amarillo man condemned for the 1992 ax-slaying of a woman will face lethal injection next week. The execution of Timothy Tyler Titsworth, 34, is scheduled to begin at 6 p.m. Tuesday at the Texas Department of Criminal Justice's Huntsville Unit in Huntsville. No federal appeals had been filed as of Friday for Titsworth, who has until the time of execution Tuesday to appeal or be granted a stay, said Jerry Strickland, spokesman with the Texas Attorney General's Office. A Randall County jury convicted Titsworth in October 1993 for the July 23, 1992, slaying of Amarilloan Christine Marie Sossaman, his live-in girlfriend. Sossaman was found dead in the bedroom of her trailer at 6601 W. Arden Road in Amarillo. She had been attacked with an ax, according to the attorney general's office. Titsworth told police that he left the trailer to buy cocaine after he and Sossaman argued the night of her death. Titsworth, at the time on probation for vehicle theft, said he was high on crack cocaine when he returned to the trailer, took an ax from a closet and struck Sossaman as she slept. Titsworth then stole Sossaman's credit cards and car, and returned to the trailer several times to steal other personal items to sell for drugs. The Texas Court of Criminal Appeals affirmed Titsworth's conviction in 1995 and denied a relief petition on his behalf in 1999. Both the U.S. District Court and the 5th U.S. Circuit Court of Appeals also denied appeals and petitions for review between 2003 and January. 181st District Judge John Board set Titsworth's June 6 execution date on Feb. 10. If executed Tuesday, Titsworth will become the state's 11th offender put to death in 2006 and Randall County's second offender executed since capital punishment was reinstated in 1976, according to the Texas Department of Criminal Justice. Christine Marie Sossaman, 26, is struck at least 16 times with an ax and killed inside her home on West Arden Road. Police catch her live-in boyfriend, Titsworth, driving her car three days later and arrest him. He reportedly tells investigators that he went to get drugs after he and Sossaman argued. He returned high on crack cocaine, grabbed an ax and killed her. Titsworth said he stole Sossaman's car and credit cards, and returned several times after killing her to get items to pawn for drugs. While awaiting trial, Titsworth and three other inmates - including two other capital murder suspects - escape from the Randall County Jail. They are captured after a 40-mile car chase to Umbarger. A Randall County jury convicts Titsworth of capital murder and sentences him to death by lethal injection. In a split decision, the Texas Court of Criminal Appeals upholds Titsworth's conviction. In his 32-point appeal, Titsworth claims the state did not prove that he killed Sossaman during a robbery. Homicide during the commission of another crime is the basis for a capital murder charge. Titsworth launches a federal appeal in U.S. District Court in Amarillo, but his petition to review his case is denied in 2003, and that decision is upheld by the 5th U.S. Circuit Court of Appeals in New Orleans last year. The U.S. Supreme Court refuses to review Titsworth's case. 181st District Judge John Board schedules Titsworth's execution for June. Titsworth is executed in Huntsville, becoming the state's 11th execution of 2006 and the second from Randall County since the death penalty was reinstated in 1976. My name is Timothy T. Titsworth #999078 and I'm a Death Row inmate here in Texas, U.S.A. Ladies and Gentlemen,the guilt innocence isn't the point that we are trying to get across in this information sheet. We're trying to let people know that Timothy isn't Guilty of Capital Murder and doesn't deserve to be on death row,where he is and has been since November 2,1993. What Timothy is trying to do is establish some kind of friendship with people of your country and his as well,and let them know the serenity of his situation isn't something to be overlooked, by the people of the justice system. All this man wants is a fair trial and another chance at life. But unless he can get some outside help from people who can be a "voice" for him in their country,or give some type of financial help to him in his fight against the death penalty,as he has no chance of doing this. Ladies and gentlemen, please keep this in mind that this isn't a "Traffic Ticket" this young man is being tried for. This is a murder trial! A Capital Murder Trial at that, where the State of Texas, USA, is trying for nothing less than the death penalty in this case. The following information can be reviewed in court documents and in articles from the Amarillo Global News in Amarillo,Texas. On August 12, 1992,Timothy Titsworth was indicted for the Capital Murder of his live - in girlfriend Christina Marie Sossaman. Sossaman was found around midnight on July 26th, by her mother, Mrs. Gibson, after she was unable to contact her daughter by phone. Mrs.Gibson informed the police that her daughter had a live-in boyfriend named Timothy Roberts? (Who's Timothy Roberts ?) Shortly after, a flier was distributed to all units instructing them to detain,not arrest,and and all people in a Black Chevy Corsica and bring them physically to the Special Crimes Unit,as they were suspects. Around noon on July 26th,1992, Timothy Titsworth was arrested and taken to the Special Crimes Unit where he was immediately interrogated and shortly taken to Randall County Jail/County Court House where he was charged with Capital Murder and placed in jail to await trial. A year and a half later,after he had initially been indicted for this crime, Timothy had been through alot of changes and was very confused as to what was going to happen to him. The Courts had appointed a lawyer to represent Tim, but six months after he was appointed he dropped off Tim's case and therefore Tim was without any kind of legal representation. But all this was unknown to him and so he thought that since his lawyer hadn't contacted him in several months, he was just busy is all ? Then on August of 93,another lawyer named Seldom B, Hale and his co counsel Joe Marr Wilson was appointed to his case and forced to take any and other information needed to fully represent him in court by his trial date of October 26,1993! Which only left four months tops to collect, investigate, and file any information or motions to start a Capital Murder Trial. These men never had a chance to fully investigate, prepare and establish a proper defense for me in the time that was allotted to them . Again, Ladies and Gentlemen, this is a Capital Murder Trial in which a human being was sentenced to death. To properly investigate a life-span of twenty-one years in four months tops, is out of the question. On the third day of the trial, I was told to stand before the Judge. The Jury answered "yes" to Special Issue #l, which is the question of "Guilty". They answered "Yes" to Special Issue #2,' which is " did I intentionally and knowingly take the life in question, and "No" to Special Issue # 3 which was the question,of were there any mitigating y factors or circumstances in this case. When these three questions are answered in the manner which I have just mentioned, a Death Sentence is Automatic. If they would have answered the last question as "Yes", then I would have received a life sentence,in which my crime truly Constitutes by Law. Still,Justice is denied in any way presented other then that of Complete Liberation. When the Judge read off those three lssues,the co-counsel for the state started clapping and smiling towards the back of the court room,where my family and friends sat in awe. My Heart sank to the souls of my shoes. My world as I used to know it was no longer as it use to be. During the time that I sat in my cell awaiting the verdict, I prayed that some type of Justice would prevail,at least to the hearts of the Juror's and they would have compassion in their heart,in returning with a sentence of Life in Prison and not Death. On November 29,l993, Timothy Titsworth had a post-conviction hearing on a motion in which a new trial was being asked. This Motion was Refused ! On August 3Oth,1994, Seldom Hale and his Partner Joe Marr Wilson filed Timothy's brief pointing out 32 points of error that occurred during his Trial ! If I can get the courts to rule in favor of these errors,I could be given a New Trial,or Commuted to a Life Sentence. Mr.Hale and Mr.Wilson argued these points of error before the Court of Criminal Appeals in Austin, Texas (which is the Highest Appellate Court in the State) However...On November 22nd, 1995,the Court of Criminal Appeals affirmed Timothy's case! On December 6th,1995, Mr.Hale and partner Mr.Wilson filed a motion for a rehearing to the Court of Criminal Appeals, requesting that the court resubmit this case for further consideration of it's opinion on the Affirmation for Mr.Titsworth's case on November 22nd,1995, Again our Motion was Denied!! On March 28th, 1997 an attorney out of Austin Texas, was appointed to investigate, research and prepare an application for Writ of Habeas Corpus on my behalf. He(Gary Taylor and his investigator Lisa Millstien). They represented my State Writ Application on December l7,l997, within the Statutory time, Mr.Taylor filed an Amended Application for Writ Of Habeas Corpus, On February 1Oth,1999, the Court of Criminal Appeals entered an unpublished order Denying Relief! Actual notice of the Courts Order did not reach petitioner's Counsel until February l6th,1999.Petitioner filed a Motion for appointment of Counsel and a Motion for Equitable Tolling in this Court on February 19th, on March 3rd,1999, the courts appointed Gary Taylor as Counsel for petitioner. It is our hopes that we can collect a considerable amount of financial help for research and investigator fees, before going into the Federal Courts. Once again, I Thank You all for being attentive to me and this situation here in Texas. It is my Great Hopes that after you have listened to all I have stated In this article,that you will see that the death penalty only serves mistakes and injustice upon it's citizens, It is my hopes that you will look into your hearts and make a conscience committment from your heart, to join in the Fight to Abolish the Death Penalty. There lies a fire within your heart, that will speak up against the wrongs of this world. I urge you to please stand up, speak out and be heard. With many voices enjoined together as "One" one day we will be heard. Please come, join the cause. With enough said, I bid each of you Peace, Love, and a better Understanding, of those things which we seem not to understand. Thank You for your time in hearing your words and I Thank You, especially, those who have Graciously brought you these very words which I write, because without them I am merely a fraction of a man desperately seeking relief from an oppressive situation. Thank You all and May God Bless You. In 1993, a jury in Randall County, Texas, convicted Timothy Titsworth of the capital murder of Christine Marie Sossaman by striking her with an ax in the course of a robbery. The evidence shows Titsworth and Christine had been living together for approximately two months when the murder occurred. A friend of Christine testified that on the day before Christine’s murder Christine told her she intended to ask Titsworth to move out of the house because Christine believed Titsworth was stealing from her. The next day Titsworth killed Christine in her bedroom by striking her with a dull two-bladed ax approximately sixteen times, excluding the defensive wounds on Christine's hands and legs. Christine probably was asleep in bed when the attack began. At some point during the attack Christine “was either taken off or came off the bed.” Christine suffered at least seven blows from the ax while she was on the floor. After Titsworth exhausted his supply of money and drugs, he slept for approximately ten or eleven hours. After he awoke, he and another person decided to make another trip to Christine’s home in Christine’s car to get more of her property. However, by this time Christine’s mother had found Christine’s body and had alerted the police who were then looking for Titsworth. The police arrested Titsworth and another person in Christine’s car while, according to this other person, they were on their way to Christine’s home. Later that day, after initially denying any involvement in the offense, Titsworth confessed to killing Christine and taking her property. In his confession, Titsworth claimed he and Christine had some type of argument after she accused Titsworth of “messing around.” After slapping Titsworth around, Christine went to bed. Titsworth left the house and bought some crack cocaine and a pill he thought was LSD. Titsworth ingested the drugs and went back to the house. Titsworth retrieved an ax from a closet while Christine was asleep in bed. Titsworth claimed he blacked out but he remembered hitting Christine with the ax. He claimed he hit Christine four or five times with the ax. He claimed that when he realized what he had done he did not know what to do so he sold some of Christine’s property and bought more crack cocaine. On his first trip back to Christine’s home, Titsworth claimed Christine “was still breathing and it looked like she had tried to crawl into the bathroom.” However, Titsworth left the house with more of Christine’s property which Titsworth sold to buy more crack cocaine. Titsworth claimed he was taking a friend home when the police arrested him. Titsworth’s theory at trial was that he was not guilty of capital murder because the evidence showed only that he killed Christine under the influence of drugs as a result of a “lover’s spat” and not with the intent to take her property. Megan Sossaman was only four years old when her mother was murdered. "She was a good person. She was real fun," Megan said. Megan had spent the weekend with her grandparents, and they had brought her back to her mom's house in Amarillo. "I remember the weekend it happened. We knocked. Nobody answered... We didn't know what happened." Christine Sossaman was dead inside, killed with 16 blows from a dull ax. Megan Sossaman is now a young woman of 18. She watched beside her aunt, grandmother and two uncles as Timothy Titsworth was executed for killing her mother. "There are no words to describe the pain and suffering you went through all the years I've had. All these years, that is something that I cannot take back from you all," Titsworth said in the seconds before he received lethal injection. "My family all knows the sincerity in my heart when I say these words to you. If these words can ever touch your heart, I am sorry, I am truly sorry," he said. "It won't fix it," said Megan. "It can't be undone." Her grandmother said, "He orphaned Megan." Inez Zetzsche added, "He left us with a void in our lives." Of the apology, Zetzsche said, "I was shocked, shocked in a good sense. I didn't expect him to apologize to Megan because he ruined her life and our lives." While she credited Titsworth with sincerity, she said his death likely won't bring the closure he sought. "But I know he won't ever harm anyone else," she said. Timothy Tyler Titsworth, 34, was executed by lethal injection on 6 June 2006 in Huntsville, Texas for the murder and robbery of his girlfriend. On 23 July 1993, Titsworth, then 21, and his girlfriend, Christine Sossaman, 26, had an argument in their trailer home in Amarillo. Titsworth left the trailer to buy crack cocaine. When he returned, he took a dull axe from a closet and struck Sossaman, who was sleeping in her bed, about 16 times. Titsworth then stole Sossaman's credit cards and car. Over the next few days, Titsworth and some of his friends returned to the trailer at least twice to steal additional property, so they could sell it for money to buy more crack. The victim's mother found the body in the trailer and notified police. Titsworth was then arrested as he was making another trip to the trailer. He was driving Sossaman's car at the time of his arrest, and he was illegally in possession of a firearm. Titsworth initially denied any involvement in the murder, but later he confessed. He said that Sossaman accused him of "messing around" and slapped him, then he left the trailer and bought drugs. He ingested the drugs, went back home, took the axe from the closet as Sossaman slept, and struck her with the axe - by his recollection, four or five times. He admitted stealing her money and possessions and selling them for drugs. He said that on one of his return trips to the trailer, he observed that the victim was still breathing and had apparently tried to crawl into the bathroom. According to evidence presented at Titsworth's trial, he had lived with Sossaman for about two months. The day before the murder, Sossaman told a friend that she intended to ask Titsworth to move out, because he was stealing from her. The medical examiner testified that at least seven of the axe blows occurred after the victim had fallen off the bed, and was on the floor. He also testified that one axe blow was made to the body after the victim died, which he estimated could have been anywhere from twenty minutes to several hours after the attack. Titsworth had a criminal record from childhood. At age 13, he broke into a shed. He was sentenced to three years' probation and ordered to undergo psychological counseling. At age 15, he was arrested for drug possession and was again put on probation. In February 1992, Titsworth received a felony conviction for unauthorized use of a motor vehicle, and was sentenced to five years in prison. After less than three months, he was released on "shock probation." (At the time, Texas was under strict prison population caps imposed by U.S. District Judge William Wayne Justice.) His probation was revoked soon afterward, however. There was an arrest warrant out for him at the time of the murder. While awaiting trial, Titsworth and some other inmates escaped from the Randall County Jail by crawling through ductwork. Titsworth was captured about 12 hours after the escape, after leading police on a high-speed chase in a stolen car. Like most states, Texas law defines capital murder as a first-degree murder that is aggravated by another factor, such as robbery. Titsworth's defense was that the crime was not a capital murder because he killed the victim over a lover's quarrel, and he had no intention of robbing her at the time of the killing. 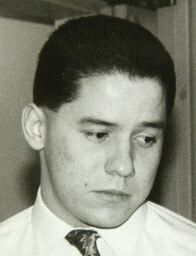 A jury convicted Titsworth of capital murder in October 1993. The Texas Court of Criminal Appeals affirmed the conviction and sentence in November 1995. All of his subsequent appeals in state and federal court were denied. Sossaman's mother attended Titsworth's execution, as did her daughter, Megan, who was 4 years old at the time of her mother's murder. "There are no words to describe the pain and suffering you went through," Titsworth said to them in his last statement. "I hope that Megan, if she is here present today, know that today I hope you get peace and joy. I'm sorry that it's taken 14 years to bring closure ... I didn't mean to inflict the pain and suffering on your family. I pray that she is safe in Heaven ... If these words can ever touch your heart, I am sorry. I am truly sorry." The lethal injection was then started. As the drugs began taking effect, Titsworth said, "Here we go." He was pronounced dead at 6:20 p.m. Afterward, Megan Sossaman and her grandmother, Inez Zetzsche, expressed surprise and appreciation for Titsworth's apology. Do Not Execute Timothy Titsworth! Timothy Tyler Titsworth, a 34-year-old white man, is scheduled to be executed on June 6 for the murder of Randall County resident Christine Marie Sossaman. Titsworth and Sossaman had been living together for two months prior to the murder. After purchasing and ingesting crack cocaine, Titsworth is alleged to have entered the home that he and Sossaman shared and to have attacked her with an ax. Then Titsworth is said to have stolen several of Sossaman’s belongings, which he later sold in exchange for drugs. Police arrested Titsworth in Sossaman’s car as he and another man were driving to the victim’s home. Soon after being arrested, Titsworth made a confession to the police, describing the events listed above. However, just before the confession, when Titsworth was being booked at the police station, the sheriff’s deputy processing him, Cindy Risley, commented to other officers how intoxicated Titsworth appeared. She testified: “‘[He] would laugh, he’d nod off. I had to wake him up a couple of times during the booking process. He didn’t seem to understand at the time what he was being brought in for.’” Furthermore, “[Risley] recalled that [Titsworth] answered questions as if the victim were still alive.” The prosecutor in the case argued that Titsworth could not have been intoxicated when his confession was made, saying that it fails to fit within the timetable of Titsworth’s drug or alcohol use and arrest. Yet even if this were true, Titsworth clearly seems to have been exhibiting some mental disturbance when he was confessing. A confession is generally considered the gold standard of evidence in a criminal trial. However, in Timothy Titsworth’s case, the confession is fool’s gold. Titsworth was impaired by either drugs or mental illness when he confessed to police and thus likely didn’t know what he was saying. It would be impermissible to allow Texas to execute Timothy Titsworth on the grounds of such a questionable confession. Please write to Gov. Rick Perry on behalf of John Titsworth! My name is Timothy Titsworth, a native of Denver, Colorado - currently a resident in Texas. I have no expectations . . . just hopes and prayers that honesty and trust will be among those hearts that read this ad. Your attention and understanding to such circumstances is what brings me here today. I've been reaching out for over twelve years, learning and growing in the friendships that I've been blessed with thus far. It's an enlightening feeling to truly understand what *FRIENDSHIP* can do for a person. To know its boundaries, its special smiles, its warmth . . . is something I did not know while on the streets. I'm on death row and have fought a hard battle within the appellate courts, only to reach the final stage . . . a better man, a stronger soul . . . and an awesome friend. Smile I seek open hearts and kind words in these final moments of my life. Something that allows me to see the world from afar, the vivid colors which radiate from the hearts and souls that also seek friendship as I do. I offer my hand of friendship to any who are willing to take that path, and journey with me. Pursuant to the provisions of 28 U.S.C. § 636(b) and an Order of the United States District Court for the Northern District of Texas, this case has been referred to the undersigned United States Magistrate Judge for recommendation. TIMOTHY TYLER TITSWORTH, a state prison inmate sentenced to death has filed a petition for writ of habeas corpus pursuant to Title 28, United States Code, Section 2254. Petitioner, Timonthy Tyler Titsworth, is an inmate in the custody of the Texas Department of Criminal Justice, Institutional Division (TDCJ-ID). Respondent, Janie Cockrell, is the Director of TDCJ-ID. A jury convicted petitioner of capital murder, and his punishment was assessed at death by lethal injection. State v. Titsworth, No. 8119-B (Dist. Ct. of Randall County, 181st Judicial Dist. of Texas, Oct. 29, 1993). The case was appealed to the Texas Court of Criminal Appeals, which court affirmed the conviction and death sentence. Titsworth v. State, No. 71,804 (Tex.Crim.App. Nov. 22, 1995)(unpublished). Petitioner filed a motion for rehearing which was denied. Titsworth v. State, No. 71,804 (Tex.Crim.App. Jan. 26, 1996). Petitioner subsequently filed a state application for writ of habeas corpus on April 22, 1997, and an amended application for writ of habeas corpus on December 17, 1997. The trial court found the application presented no controverted, previously unresolved fact issues material to the legality of Applicant's confinement. State v. Titsworth, No. 8119-B-1 (Dist. Ct. of Randall County, 181st Judicial Dist. of Texas, Sep. 4, 1998). It then entered findings of fact and conclusions of law, and recommended that relief be denied. State v. Titsworth, No. 8119-B-1 (Dist. Ct. of Randall County, 181st Judicial Dist. of Texas, Sep. 17, 1998). The Court of Criminal Appeals adopted the trial court findings of fact and conclusions of law and denied relief by written order. Ex parte Titsworth, No. 39,237-01 (Tex.Crim.App. Feb. 10, 1999) (unpublished). Petitioner filed his petition for writ of habeas corpus in this Court on April 8, 1999. Respondent filed its answer on May 31, 2001.FN1 Petitioner filed a response to this answer on August 20, 2001. Thereafter, the Court granted an evidentiary hearing limited to those portions of petitioner's first, third, fourth, and sixth claims which involved the testimony of Cindy Risley. Titsworth v. Cockrell, No. 2:99-CV-0061 (N. D.Texas, Feb. 14, 2003). Such evidentiary hearing was conducted on May 14, 2003, and all post-hearing briefs have been filed. In eleven grounds for relief, petitioner raises various issues concerning his alleged intoxication at the time of his confession, the jury instructions submitted during the punishment phase of his trial, the State court's action in sealing certain records and denying expert assistance, and his trial and appellate attorney's assistance in connection with certain intoxication and psychiatric issues. Viewed in the light most favorable to the verdict, the evidence shows appellant and the victim had been living together for approximately two months when this offense occurred. A friend of the victim testified that on the day before the victim's murder the victim told her she intended to ask appellant to move out of the house because the victim believed appellant was stealing from her. The next day appellant killed the victim in her bedroom by striking her with a dull two-bladed ax approximately sixteen times excluding the defensive wounds on the victim's hands and legs. The victim probably was asleep in bed when the attack began. At some point during the attack the victim “was either taken off or came off the bed.” The victim suffered at least seven blows from the ax while she was on the floor. After the attack, appellant left the victim on the floor. The medical examiner testified the victim could have lived anywhere from twenty minutes to “a number of hours” after the initial attack. After she died, the victim suffered at least one more blow from the ax in a separate episode from the initial attack. After the initial attack, appellant took the victim's car and some of the victim's personal property. Appellant sold the victim's personal property and used the money to buy crack cocaine. Over the next couple of days appellant and other admitted crack cocaine users made a couple of trips to the victim's home and took more of her property. They used the victim's property to buy more crack cocaine. One of these witnesses testified appellant acted like he was “just having a good time”. After appellant exhausted his supply of money and drugs, he slept for approximately ten or eleven hours. After he awoke, he and another person decided to make another trip to the victim's home in the victim's car to get more of her property. However, by this time the victim's mother had found the victim's body and had alerted the police who were looking for appellant. The police arrested appellant and another person in the victim's car while, according to this other person, they were on their way to the victims' home. Later that day, after initially denying any involvement in the offense, appellant confessed to killing the victim and taking her property. In his confession, appellant claimed he and the victim had some type of argument after she accused appellant of “messing around.” After slapping appellant around, the victim went to bed. Appellant left the house and bought some crack cocaine and a pill he thought was LSD. Appellant ingested the drugs and went back to the house. Appellant retrieved an ax from the closet while the victim was asleep in bed. Appellant claimed he blacked out but he remembered hitting the victim with the ax. He claimed he hit the victim four or five times with the ax. He claimed that when he realized what he had done he did not know what to do so he sold some of the victim's property and bought more crack cocaine. On his first trip back to the victim's home, appellant claimed the victim “was still breathing and it looked like she had tried to crawl into the bathroom.” However, appellant left the house with more of the victim's property which appellant sold to buy more crack cocaine. Appellant claimed he was taking a friend home when the police arrested him. Titsworth, slip op. at 1-2. This Court must accord a presumption of correctness to these state court findings. 28 U.S.C. § 2254(e). In his first and second grounds for federal habeas corpus relief, petitioner alleges the prosecutors failed to disclose, upon request, favorable evidence in violation of his due process rights under the Fourteenth Amendment. See Brady v. Maryland, 373 U.S. 83, 83 S.Ct. 1194, 10 L.Ed.2d 215 (1963). Petitioner contends he was intoxicated at the time he gave his confession, and in his first ground claims the prosecutors suppressed evidence that petitioner's confession was involuntary because of his intoxication. His second ground complains that prosecutors suppressed a memo in their files of a telephone contact with a mitigation witness. The undersigned is of the opinion that the conviction and death penalty in this case were not obtained in violation of the United States Constitution. Further, and particularly under the AEDPA deference standard now in place, federal habeas relief is not warranted. As alluded to previously, the difficulty with this case is whether the offense petitioner committed was murder or capital murder. This Court, however, cannot substitute its judgment for that of the jury's. Petitioner has failed to make a substantial showing of the denial of a federal right. The state court adjudication on the merits did not result in a decision that was contrary to, or which involved an unreasonable application of, clearly established Federal law, as determined by the Supreme Court of the United States. The state court adjudication has not been shown to have resulted in a decision that was based on an unreasonable determination of the facts in light of the evidence presented in the State court proceeding. Petitioner's petition for a writ of habeas corpus should be DENIED. Background: Defendant convicted of capital murder petitioned for writ of habeas corpus. The United States District Court for the Northern District of Texas, Mary Lou Robinson, J., 2003 WL 22480056, denied relief, and certificate of appealability was sought. Holding: The Court of Appeals, Patrick E. Higginbotham, Circuit Judge, held that prosecution's failure to disclose police officer's stated belief that defendant was intoxicated at time she booked him into jail did not violate Brady, absent showing that evidence was material. Affirmed. In 1993, a jury in Randall County, Texas, convicted Timothy Titsworth of capital murder of Christine Marie Sossaman by striking her with an ax in the course of a robbery. The Texas Court of Criminal Appeals affirmed the conviction and sentence two years later in an unpublished opinion.FN1 That court described the crime as follows: FN1. Titsworth v. State, No. 71,804 (Tex. Crim. App. Nov. 22, 1995). [T]he evidence shows [Titsworth] and the victim had been living together for approximately two months when this offense occurred. A friend of the victim testified that on the day before the victim's murder the victim told her she intended to ask [Titsworth] to move out of the house because the victim believed [Titsworth] was stealing from her. The next day [Titsworth] killed the victim in her bedroom by striking her with a dull two-bladed ax approximately sixteen times excluding the defensive wounds on the victims [sic] hands and legs. The victim probably was asleep in bed when the attack began. At some point during the attack the victim “was either taken off or came off the bed.” The victim suffered at least seven blows from the ax while she was on the floor. After the attack, [Titsworth] left the victim on the floor. The medical examiner testified the victim could have lived anywhere from twenty minutes to “a number of hours” after the initial attack. After she died, the victim suffered at least one more blow from the ax in a separate episode from the initial attack. After [Titsworth] exhausted his supply of money and drugs, he slept for approximately ten or eleven hours. After he awoke, he and another person decided to make another trip to the victim's home in the victim's car to get more of her property. However, by this time the victim's mother had found the victim's body and had alerted the police who were then looking for [Titsworth]. The police arrested [Titsworth] and another person in the victim's car while, according to this other person, they were on their way to the victim's home. Later that day, after initially denying any involvement in the offense, [Titsworth] confessed to killing the victim and taking her property. In his confession, [Titsworth] claimed he and the victim had some type of argument after she accused [Titsworth] of “messing around.” After slapping [Titsworth] around, the victim went to bed. [Titsworth] left the house and bought some crack cocaine and a pill he thought was LSD. [Titsworth] ingested the drugs and went back to the house. [Titsworth] retrieved an ax from a closet while the victim was asleep in bed. [Titsworth] claimed he blacked out but he remembered hitting the victim with the ax. He claimed he hit the victim four or five times with the ax. He claimed that when he realized what he had done he did not know what to do so he sold some of the victim's property and bought more crack cocaine. On his first trip back to the victim's home, [Titsworth] claimed the victim “was still breathing and it looked like she had tried to crawl into the bathroom.” However, [Titsworth] left the house with more of the victim's property which [Titsworth] sold to buy more crack cocaine. [Titsworth] claimed he was taking a friend home when the police arrested him. [Titsworth's] theory at trial was that he was not guilty of capital murder because the evidence showed only that he killed the victim under the influence of drugs as a result of a “lover's spat” and not with the intent to take her property.FN2 FN2. Id. at 1-3. Titsworth sought state habeas relief in 1997. The state habeas judge, Samuel C. Kiser, also presided over the trial. Judge Kiser found there were no questions of fact and entered findings and conclusions with a recommendation that relief be denied. He did not conduct an evidentiary hearing. The Court of Criminal Appeals adopted his findings and conclusions and denied relief. Titsworth filed a petition for federal habeas relief seeking relief upon eleven grounds. The State makes no contention that any of these federal claims were not first fairly presented to the state courts, except for the claim that Titsworth's confession was involuntary and should have been suppressed because he was intoxicated.FN3 United States District Judge Mary Lou Robinson referred the case to Magistrate Judge Clinton E. Averitte. He held an evidentiary hearing limited to portions of the four claims involving the testimony of Deputy Cindy Risley. FN3. The State in footnote 4 of its opposition also does not concede that Cindy Risley's “statement” was exhausted in state court because it was presented in an unsigned affidavit and the court refused to consider it. It was later signed by Risley and presented to the federal district court. Judge Robinson adopted the magistrate's findings and recommendation that the petition and a certificate of appealability be denied. Titsworth in turn seeks a *305 certificate of appealability from this court on nine claims: 1. Whether Titsworth was deprived of due process and a fair trial because the State failed to disclose favorable and material evidence; 2. Whether the admission of Titsworth's written statement violated his right to due process because he was intoxicated at the time the statement was taken; 3. Whether Titsworth's right to due process was violated by the State's allowance of false testimony at trial; 4. Whether Titsworth was denied effective assistance from trial counsel's failure to adequately investigate and present mitigating evidence; 5. Whether Titsworth was denied effective assistance from trial counsel's failure to fully investigate and present evidence in support of suppressing Titsworth's written statement; 6. Whether Titsworth was denied effective assistance from trial counsel's failure to request a copy of a psychiatric report, to object to the State's failure to provide Titsworth with a copy of such report, or to make the sealed report a part of the appellate record; 7. Whether Titsworth was denied effective assistance from trial counsel's failure to raise in a timely and specific manner, a request for the appointment of a psychiatric expert to assist in Titsworth's defense; 8. Whether Titsworth was denied due process by the trial court's failure to provide funds for a psychiatrist; and 9. Whether Titsworth was denied due process by the trial court's order sealing a psychiatric report. Titsworth's first three claims are factually interrelated. They focus upon his intoxication when the murder was committed and when he was taken into custody and interrogated. He asserts that the government withheld evidence of his intoxication that was material both to his contentions about the crime-that it was a lover's quarrel, not a robbery-and to whether his confession was voluntary. Relatedly, he urges that the officer who took his statement, Sergeant B.J. White, knowingly gave false testimony at trial concerning the statement. The state trial judge granted the usual Brady pre-trial request to order the prosecutor to turn over information favorable to the defense, including information regarding any witnesses who would give favorable testimony. Titsworth made no contention to the state trial judge before his conviction and sentence that the confession was involuntary because he was intoxicated. FN13 Rather, his motion to suppress his confession contended that it was a product of an illegal arrest. It was denied. He did rely at trial upon evidence of his intoxication and difficulties with drugs and alcohol, but only in mitigation and in support of his contention that the killing was not a robbery but a lover's quarrel. FN13. The attack on the confession based on intoxication came in Titsworth's state habeas petition and later in his federal petition. Judge Kiser, presiding over the state habeas proceedings, found that the failure to disclose Risley's statement did not violate Brady. He filed detailed findings of fact and conclusions of law. Deputy Risley's testimony was presented to Judge Kiser only in an “affidavit” which she had refused to sign. He refused to consider it. He credited the testimony of John Ballard, who was with Titsworth on the day he was arrested and confessed. Judge Kiser found that he “gave uncontradicted testimony that [Titsworth] had slept from ten to eleven hours immediately prior to his arrest. During this time, neither Ballard nor [Titsworth] consumed any drugs or alcohol.” Judge Kiser held as an alternative basis for denying relief on this claim that it was barred because it was never raised at trial or on direct appeal. The federal magistrate in turn rejected the claim after an evidentiary hearing at which he heard the testimony of Risley. At the federal hearing Cindy Risley testified that she was the deputy responsible for booking Titsworth into the Randall County Jail. She testified that Titsworth was under the influence of drugs or alcohol during the hour or so it took to book him into the jail. She also stated that she had told fellow officers of Titsworth's condition at the time of booking, but was told not to say such things. She testified that he was “grinning and laughing” and that he “didn't seem to be aware of the seriousness at the time.” According to Risley: “[H]e would laugh, he'd nod off. I had to wake him up a couple of times during the booking process. He didn't seem to understand at the time what he was being brought in for.” She recalled that he answered questions as if the victim were still alive. The magistrate judge concluded that there was no Brady obligation to produce this evidence because with due diligence it was available to the defense. Specifically, Risley had been listed as a trial witness and was available. She in fact testified in the sentencing phase of the trial. The magistrate further pointed out that, at the evidentiary hearing he conducted, Titsworth did not testify and offered no other evidence regarding his intoxication. The magistrate judge also noted that Titsworth made incriminating statements to persons in addition to Sargent White, who took the confession. Finally, he credited White's testimony regarding Titsworth's interrogation in which he confessed, concluding that White was in a much better position to observe Titsworth's intoxication than Risley. We were persuaded that a certificate of appealability should issue on the claim that the failure to disclose the statements made by Deputy Risley violated Brady. Reasonable jurists may differ over whether the federal district court should have resolved this claim in a different manner insofar as it rested on the view that there was no breach of duty to disclose Risley's comments to her co-workers because the defendant with due diligence could have learned of them. The principle that there is no duty to produce, evidence equally available to the prosecution and defense is sound but is pushed too far on these facts. The prosecutors had been ordered to produce information favorable to the defense and assured counsel that they had done so. While we granted a certificate of appealability on this issue, with the benefit of full briefing and oral argument, we are persuaded that the claim is ultimately without merit in that the evidence is not material. The judgment of the district court denying relief on this claim must be affirmed. Titsworth made no claim to the trial court or the Texas Court of Criminal Appeals on direct appeal that his confession was involuntary because his free will was lost to alcohol and drugs. Judge Kiser found that the claim is procedurally barred, and that finding was adopted by *308 the Court of Criminal Appeals and the federal magistrate in turn. This independent state ground for barring Titsworth's Brady claim does not end the matter. It is suggested that various comments made to Risley by fellow officers, such as reminding her that she is an at-will employee and she should not be making comments like that, constitute good cause for excusing this procedural default. When Titsworth finally raised the Brady issue in his state habeas proceeding, his submission did not include Risley's testimony. Only her unsigned affidavit was offered to Judge Kiser.FN14 Not surprisingly, he refused to consider it and neither side had otherwise secured her testimony. FN14. We do not pause over the question of whether this claim was fairly developed in the state habeas hearing since we ultimately reject it on the merits. Risley's sworn testimony as to Titsworth's condition at the time of booking was not taken until the hearing before the federal magistrate. He credited her testimony that she always felt free to express her opinion in open court and had told co-workers as much. Risley testified that she would have cooperated with defense counsel and testified truthfully at trial if asked to do so. Both the former district attorney and County Sheriff testified that they would not have prevented anyone with evidence from coming forward. We are offered no basis for ignoring these fact findings and reaching a contrary conclusion. Regardless, even if the various comments made to Deputy Risley did frustrate the defendant's access to the evidence and excuse the procedural default, we need not rest there. The claim also fails on its merits. That is, assuming the defendant has opened a road, it leads nowhere now because it would have led nowhere then. The argument is that had Risley's comments been disclosed to defense counsel, he could have attacked the confession as involuntary and further used her testimony both to support the defensive theory of “lover's spat, not a robbery” as well as in mitigation. This contention is as unpersuasive to us as it was to Titsworth's trial counsel. As the magistrate judge pointed out, Deputy Risley was listed as a trial witness. While it was a very long list of witnesses the prosecution handed to court-appointed counsel, Deputy Risley's name was hardly lost in the crowd as unknown. The defense knew that she was the booking officer and that she had befriended Titsworth. Photographs of Titsworth being booked were received into evidence reflecting behavior seemingly inappropriate to the occasion, such as his laughing and smiling. The level of detail in the confession itself disclosed his significant capacity for recall. Trial counsel Selden Hale explained that “[Titsworth] remembered what he told the police officer and [intoxication] didn't seem to me at the time to be an issue.” Co-counsel Joe Marr Wilson also explained that Risley's opinion would not have changed the Judge's ruling on the confession. Moreover, he pointed out that Risley could have been a harmful witness in the guilt phase, presumably by testifying-as she later did in the sentencing phase-about an escape by Titsworth with three other jail inmates, at least two of whom were also charged with capital crimes. Significantly, she also could have testified that Titsworth confessed to her some time after he had been in jail. In any case, there were less risky ways of developing Titsworth's difficulties with drugs and alcohol, as the trial reflects. Furthermore, the State offered evidence that Titsworth admitted the crime both to Jean Roper, his longtime probation officer, when she visited him in jail, and to Risley when she was making jail rounds. Attacking*309 the formal confession as being involuntary under these circumstances was not a realistic course of action. In addition, while it was arguably relevant evidence of intoxication in support of the lover's spat theory and in mitigation, it was at best cumulative. Even so, when shown a picture of Titsworth taken while he was being booked, Jean Roper, having recounted Titsworth's long difficulties with addiction and repeated failure in treatment, observed that he was probably still high. It is true that had the disclosure been made, defense counsel could have cross-examined Deputy Risley about her opinion of Titsworth's condition during booking to counter the State's suggestion that photographs of Titsworth being booked showed his lack of remorse. But her opinion would have been in the teeth of Sergeant B.J. White's and John Ballard's testimony that Titsworth had just slept eleven hours prior to being arrested while at a store to buy a soft drink. The defense focused on his mental state at the time of the murder. If he was still under the effects of the drug spree when he was interrogated, as Risley would opine, it was powerful evidence cutting against the claim for his mental state during the murder. For example, he recalled events of the binge in detail and even assembled electronic components, as Ballard had recounted. The sum of this is that failure to disclose Deputy Risley's comments did not undermine confidence in the outcome of the trial. The defense could do little with her testimony, as we have explained. Overarching all of this is the reality that the argument to “please understand that while I took an ax to my girlfriend, I had a problem with drugs and alcohol,” without more is a hard sell. Titsworth also asserts a Brady violation by pointing to the prosecutor's failure to disclose a memorandum in his file regarding a conversation with Ron Kelly, a Methodist minister and school administrator. Kelly purportedly disclosed to the State that Titsworth had confided to him that when under the influence of alcohol or drugs, he was not very aware of anything. In an affidavit, presumably given to state detectives, Kelly also expressed the opinion that when drugs were involved Titsworth could not control himself or distinguish right from wrong. The magistrate judge observed that this evidence was hearsay and would not have been admissible, and that Kelly was not competent to express the opinion. The judge also noted that it was not clear that the prosecutor had a Brady duty to disclose inadmissible evidence, but did not rest there. He ultimately concluded that nondisclosure of Kelly's opinions regarding Titsworth's cognitive levels when drunk was not material because voluntary intoxication is not a defense to the crime, and the evidence was relevant only in mitigation. He pointed out that there was an abundance of evidence in mitigation regarding alcohol and drugs and therefore the Kelly evidence would have been cumulative. Because the lack of materiality is not debatable by reasonable jurists, we conclude that the requisites for a certificate of appealability have not been met with this claim. In Claim Two, Titsworth urges that his written confession was involuntary because he was drunk. Relatedly, in Claim Three, he urges that the State's evidence that his confession was freely and voluntarily given was false. The magistrate judge held that there was no evidence that Sergeant White had *310 committed perjury, finding White's testimony before him to be credible. With this, he concluded, the first element of a Giglio claim, falsity, was missing, as well as the third element that the prosecution knew the testimony was false.FN15 We are offered no reason to disregard this credibility call. FN15. See Giglio v. United States, 405 U.S. 150, 153-54, 92 S.Ct. 763, 31 L.Ed.2d 104 (1972); Barrientes v. Johnson, 221 F.3d 741, 753 (5th Cir.2000). That the district court should have resolved Claims Two and Three in a different manner or that we should encourage further prosecution of the claims in federal court is not debatable among reasonable jurists.FN16 In the prosecution of these two claims, there has been no substantial showing of the denial of a constitutional right. FN16. We discuss further the voluntariness of Titsworth's confession in connection with Claim Five. See infra Part III.B.2. In Claim Four, Titsworth asserts that counsel was ineffective in failing to adequately investigate and present mitigating evidence. We declined to issue a certificate of appealability on this claim. Titsworth's drug addiction and his difficult upbringing were the centerpieces of his case in the sentencing phase of the trial. William Schlitz was the first witness for the defense. This former addict, now working with prisoners having histories of addiction, explained at length the addictive force of crack cocaine and its effects on the mind. His testimony was graphic and presented Titsworth's difficulty in vivid terms. It was testimony about the real world of the addict, including the difficulties of extricating oneself from the grip of crack cocaine and the overpowering need to obtain more drugs, the entry gate to thefts, robberies and burglaries.FN21 After this witness, the defense offered the testimony of Thomas W. Hale, Ph.D., a distinguished scholar and professor. He explained the chemistry of drugs and the effects of cocaine and crack cocaine, adding technical reenforcement to Schlitz's testimony. FN21. Cross examination by the State supports the defense counsel's lack of interest in pursuing a theory that the confession was involuntary. Schlitz readily conceded that while high he would never have been able to produce either a written or oral confession. Of course, Titsworth did offer details of the crime and confessed it to two other persons on different occasions. Titsworth's mother, Elsie May Titsworth, then testified, detailing her own troubles with alcohol and the difficulties faced by Titsworth in his youth. She recounted that he was conceived during a time when she worked as a bartender, but that Tex Titsworth, her husband, was not his father. She told the jury that her husband resented Titsworth because he was not his son. He persisted in calling him a “fat little Mexican.” She explained that defendant's biological father, Aragon, showed interest in his son but died when Titsworth was four and one-half years old. Aragon had reunited with his wife but, on the first day of that reunion, he murdered her and subsequently took his own life. There were dozens of moves from town to town until the State of Wyoming took the children, including Titsworth, then nine years old, and put them in an orphanage. She testified about the abuse Titsworth suffered in state custody until the children were returned about 18 months later. Any suggestion that counsel was ineffective by failing to call Deputy Risley is without merit. As we have explained, Deputy Risley did testify, but in the sentencing phase as a State witness recounting Titsworth's later admission of guilt and subsequent jail escape. The strategy pursued by defense counsel cannot now be faulted, given the panoply of facts that they could not with credibility seriously contest. In sum, a reading of the trial transcript belies the assertion that counsel was ineffective in investigating and presenting evidence of mitigation in the sentencing phase. For these reasons, we denied the request to issue a certificate of appealability on this claim. In Claim Five, Titsworth urges that his counsel was ineffective in not fully investigating and presenting evidence in support of his motion to suppress his confession. We were not persuaded that counsel's performance was deficient and declined to issue a certificate of appealability on this claim. The want of merit in this claim is evident in our discussion and rejection of the first four claims. As we have recounted, the State produced John Ballard who testified at length in the guilt phase. Ballard detailed the events of the two days preceding Titsworth's arrest. He told the jury that he accompanied Titsworth on two trips to the trailer where the victim's body lay, although he apparently did not know then of the killing or see her body. On the first trip he helped Titsworth remove and sell an expensive television. They then purchased and smoked crack with the $100 they had received. After exhausting these funds, they returned and removed an expensive stereo set and sold it. Again they purchased crack cocaine. When finally the money was gone and the dope was smoked, they slept for eleven hours. On awakening, they left the house they were in and were quickly arrested-the body having been found by the victim's mother in the meantime. Judge Kiser credited this testimony in the state habeas proceeding, rejecting the contention that the confession was involuntary because Titsworth was high on drugs. He pointed to the fact that Titsworth was sober when arrested, having slept for eleven hours and then gone to the store for a Coke. This fact and the detailed description of their drug spree posed a formidable obstacle to any assertion that Titsworth's drug use resulted in an involuntary confession to Sergeant White. Titsworth was able to retrieve property and effect its sale *312 on two occasions. He also had to connect and program the TV setup for the purchaser and show the buyer how to operate the remote control-all during this drug spree. The testimony of the defense's own witness in the penalty phase, Schlitz, who offered a vivid description of the grasp of crack cocaine, was at odds with any suggestion that Titsworth was so intoxicated as to render his confession involuntary. Furthermore, Titsworth's later admissions of guilt to his probation officer on one occasion and to Deputy Risley on another would also need explanation if the statement taken by Sergeant White were to be challenged as involuntary. In sum, Counsel's course of action was then and now with hindsight a rational path. Having read the trial transcript and heard oral argument, we concluded that Titsworth was well defended by counsel who had little to work with. In Claims Six and Seven, Titsworth asserted ineffective assistance in counsel's failure to obtain a copy of psychiatric reports or to request an independent psychological evaluation. Before the state trial, the trial judge ordered that Titsworth be given a psychiatric examination to determine competency. The resulting report of Dr. Shaw found that Titsworth was competent and that his behavior at the time of the offense was consistent with someone under the influence of alcohol and drugs. Trial counsel did not request a copy of the report. The magistrate judge pointed out that the state habeas judge had found that the testimony of Dr. Shaw would only have been cumulative. The magistrate then rejected the claim. On the basis of the state court record, the magistrate judge concluded that counsel's request for an expert was denied by the state trial court and that Titsworth's trial lawyer in any event obtained voluntary expert assistance in presenting his mitigation evidence. We agreed and were not persuaded to issue a certificate of appealability on these claims. In Claims Eight and Nine, Titsworth argues the trial court denied him due process by not providing funds for a psychiatrist and by sealing a psychiatric report. We refused a certificate of appealability on this claim for essentially the reasons stated by the magistrate judge. We have denied the request for a certificate of appealability for all claims except the claim that the prosecution failed to discharge its Brady duty by not disclosing comments made by Deputy Risley to her co-workers, a claim we now reject on its merits. AFFIRMED.